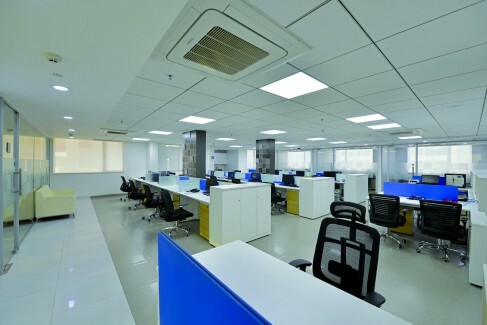 The Syska office in Pune with 30,000 sq. ft. carpet area was built for the client who is in the business of LED lights for the team of Beyond Design, the challenge was to deliver a design that would intrigue and engage a visitor from outside to the interiors. 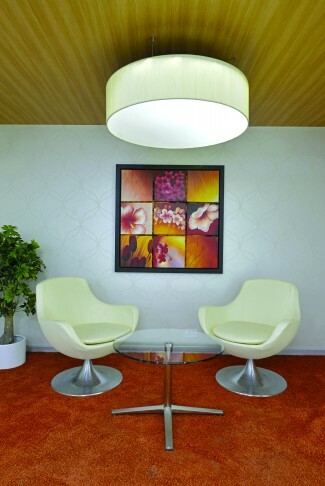 The ground floor was transformed into a large reception area, and can take care of 25 visitors at a time. The entire length of the reception is fully glazed and without any blinds from the inside. 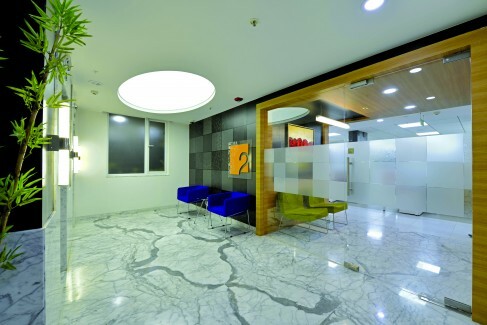 A large reception desk flanked by two meeting rooms on either side, makes sure there is no chaos, even at peak hours. 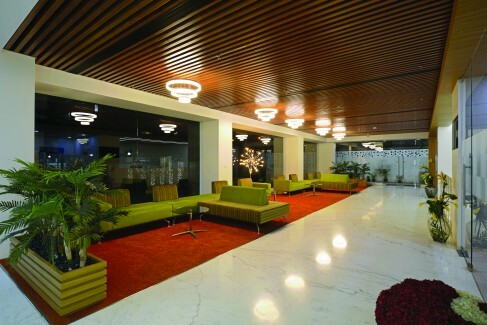 This floor also has a large indoor and an attached outdoor cafeteria for guests and employees. The five upper floors have been divided into various departments, each having its own meeting rooms, cabins, cubicles and work stations. The first, third and fifth floors have attached terraces. The terraces of the third and fifth floors are attached terrace lounges for the Managing Director and the Chairman respectively.